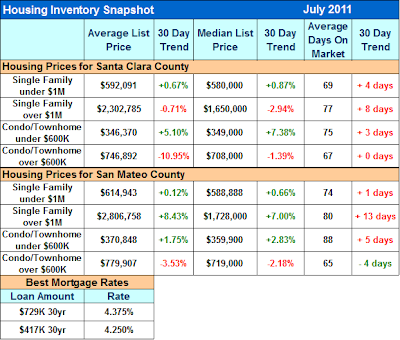 Nathan's Real Estate Notions: Have We Hit Bottom? WARNING: Mortgage loan limit of $729,750 is set to EXPIRE on Sept 30th. It will be reduced to $625,500. If you were considering buying in the price range of $650,000 to $950,000 this could impact you. Email me NOW so I can help you understand what this change will cost you. Low mortgage rates and declining home values make homeownership extremely affordable these days. But does that mean now is the right time to buy a home? Should you wait? It depends on whom you ask, where you live and most important, on your situation.